Until repairs to the original bridge could be completed, 7th ESB’s tactical bridge temporarily provided the community and school staff the ability to go to and from their residences in their vehicles. 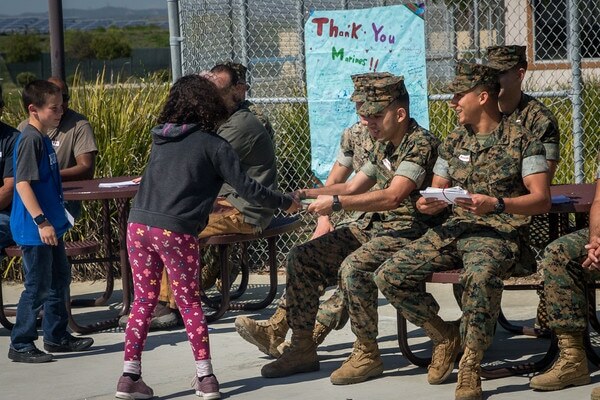 Helping the community is a hallmark of Marine culture. As a result of 7th ESB’s visible support, their bridge also created a bond with the kids and the community that they will always remember.